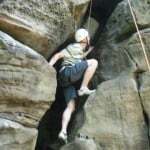 Enjoy a rock climbing lesson in Sussex and experience the exhilaration of scaling the vertical face of Harrison's rock. Located in the heart of a Sussex woodland, Harrison's rock is one of the largest outdoor climbing venues in the south of England as it towers above the trees at 30-40ft high! The expert instructors are there to teach you every step of the way, so no matter what you're previous rock climbing experience, you will leave the session having learnt something new and with a renewed taste for adventure.Your rock climbing experience in Sussex will begin with a warm welcome before a safety briefing covering safety techniques and how to use the equipment. You will then practice how to tie the required knots and belaying with the group before moving on to start tackling some of the easier routes to the top of Harrison's Rock. The course can be tailored to meet your own ability and aspirations for future climbing so once you’ve mastered the basics you instructors will challenge you to some harder climbs! Climbing is available in Sussex from March - October. The climbing course will last around 4 hours. 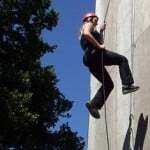 Participants: The Sussex Rock Climbing Experience is for 1 participant. The group size is between 4 and 12 people. Spectators are welcome to come and watch your spectacular climbs. 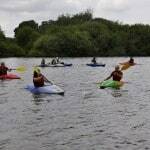 The Sussex centre will provide all safety equipment you may need. Please wear comfortable clothing suitable for the weather conditions. Climbing courses will not be affected by extreme weather conditions. We enjoyed our day. 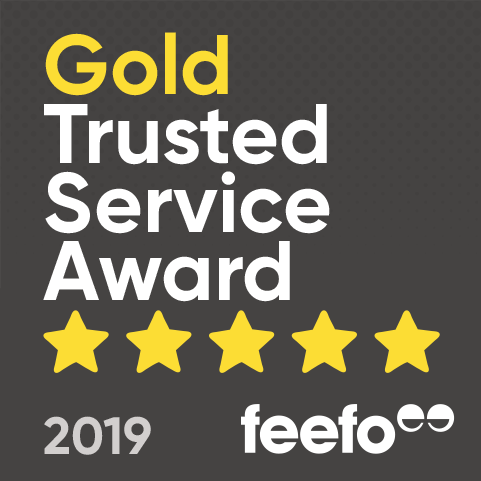 Great staff and well organised. The weather wasn't great and it was very muddy. It would have been useful if we had been advised to bring 2 sets of footwear, as it was super slippy on the rocks wearing mud covered trainers!